Wix is a world-class website building platform with more than 35 million users. Wix offers stunning designs and an easy-to-use website builder. 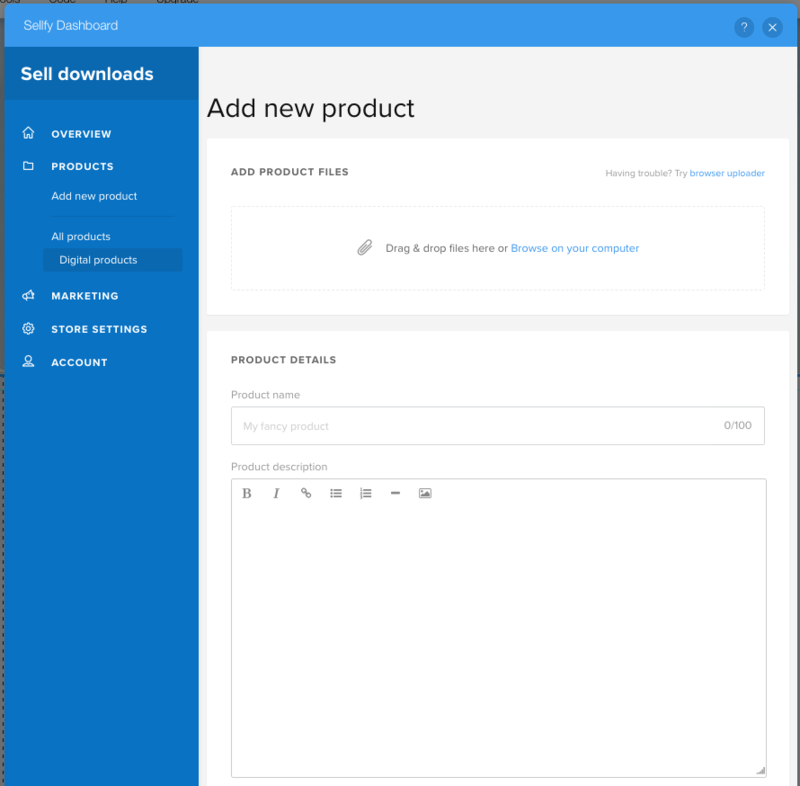 If you are a digital content creator, you can easily create a Wix website, add the Sellfy app and start selling your downloads! You can install the Sellfy app into your Wix site from the Wix App Market. Important note: Sell Downloads app on WIX is a separate service with a different set of features than Sellfy.com. The Sellfy.com Pro plan and the Sell Downloads app are incompatible and can't be used together with the same account. 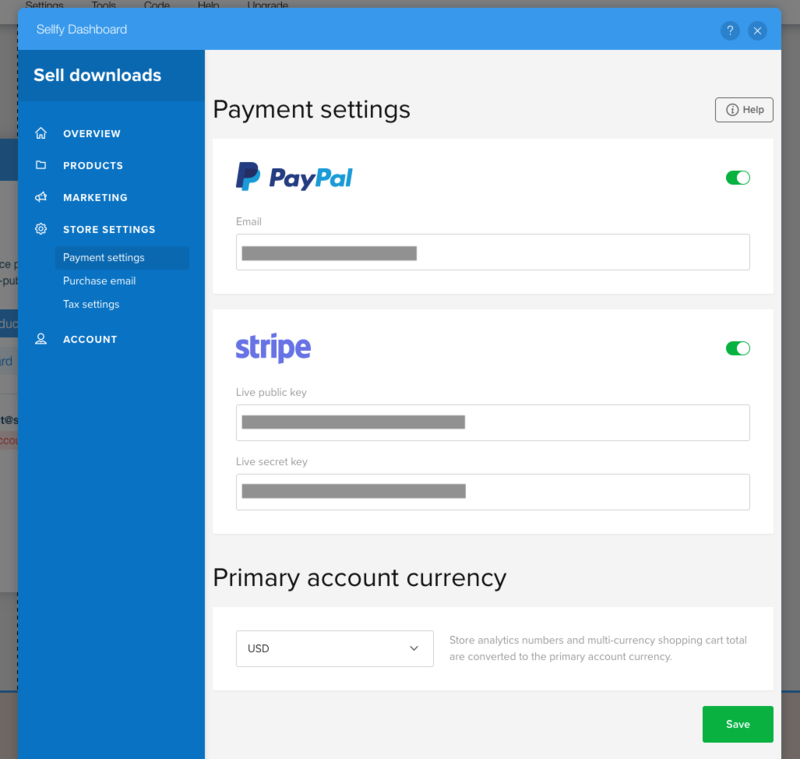 If you want to use the features offered in the Sellfy.com PRO plan, you'll need to cancel the Sell Downloads app or sign up on Sellfy.com with another email address. How to customize Buy Now buttons? How to upgrade the Sell Downloads App? How can I add a new button? How to delete a Buy Now button? Why aren't product images and descriptions showing up? Why do I see my email auto-filled at the Checkout? How to cancel the Sell Downloads app on Wix? What features are available in the Sell Downloads app? Once you've created your account, the 14-day trial period will begin. During the trial, you'll be able to use all Premium version features. To continue using the app after the 14-day trial, you'll need to upgrade to Premium. The upgrade will not happen automatically after the 14 days, you'll need to select that option manually. 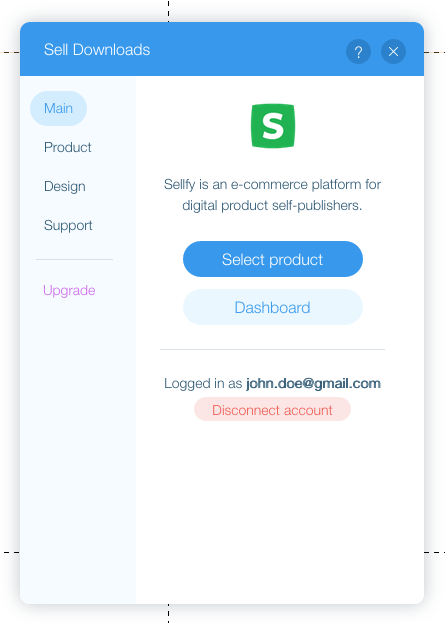 After you've successfully logged into your Sellfy account, you'll see this window appear with the option to either select a product, navigate to the seller Dashboard or Disconnect your Sellfy account. To add a product, navigate to the Product section located in the sidebar on the left and click on the green Add product button. In the dashboard, select Add new product in the sidebard menu to upload your product file and fill out your product details. You'll be able to replace the product file later if you wish to add updated versions. 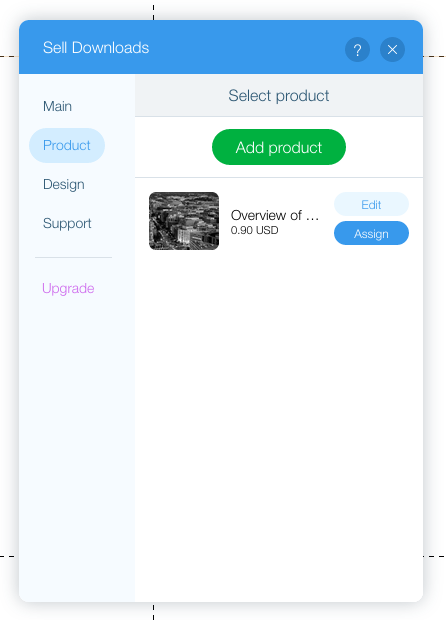 Once you've created and saved the product, it will appear in the app panel, in the Product section. To link the product to a selected Buy Now button on your Wix.com site, click the blue Assign button. You'll be able to edit the product at any time, if necessary. You can customize the Buy Now buttons to match the style of your site. Go to the Design section to change the button text and color. Play around and see what works best for you! 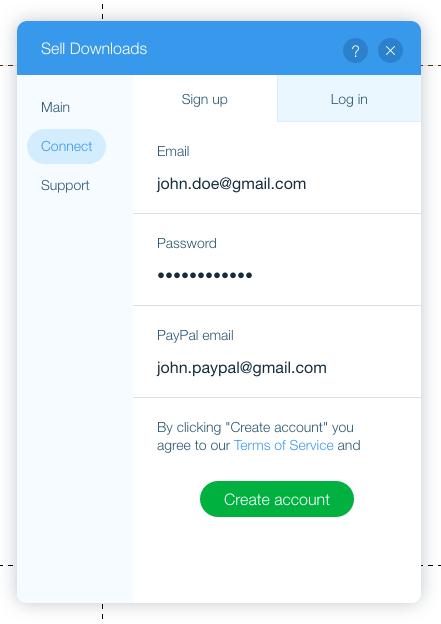 You can receive payments for your products with either PayPal or Stripe (for card payments) services. To add payment options, go to Dashboard ❯ Store settings > Payment settings. To correctly add your Stripe payment details, follow the instructions on this article: How to add Stripe as your payment option? More information about Stripe is available on their site: https://stripe.com/. Notice that you can also set the primary currency for your store. You can choose between 22 different currencies. To upgrade to Premium, click on the purple Upgrade Now button on the right-hand side of the app panel. The Premium version costs $9.99 per month and will contain all the features already available in the trial version. 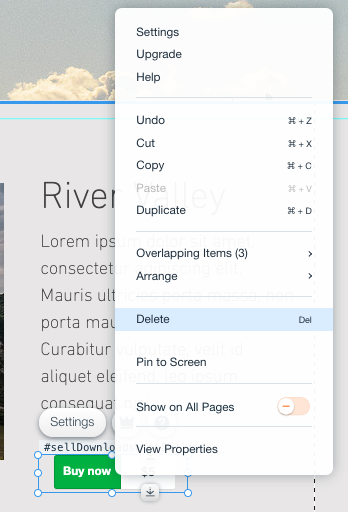 To add a new button, press Ctrl + D ( it's ⌘ + D on a Mac computer) OR click Duplicate in the Wix app panel (see image below). 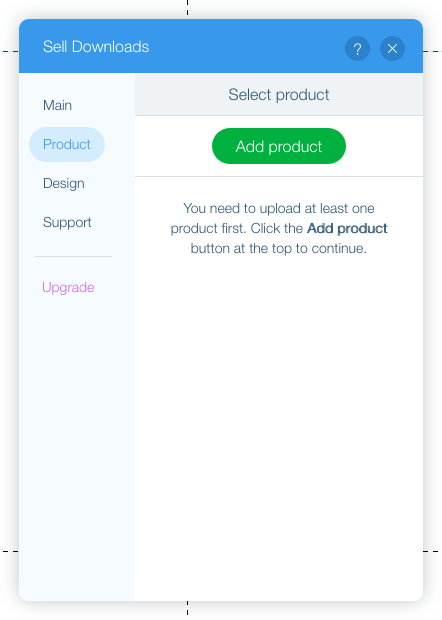 The newly pasted button will bring up the product creation panel again. How can I delete a Buy Now button? Note: Deleting a Buy Now button will not delete the uploaded product, it will still be available in your Products section. right-click on the button and select Delete from the list of options. Why aren't my product images and descriptions showing up? 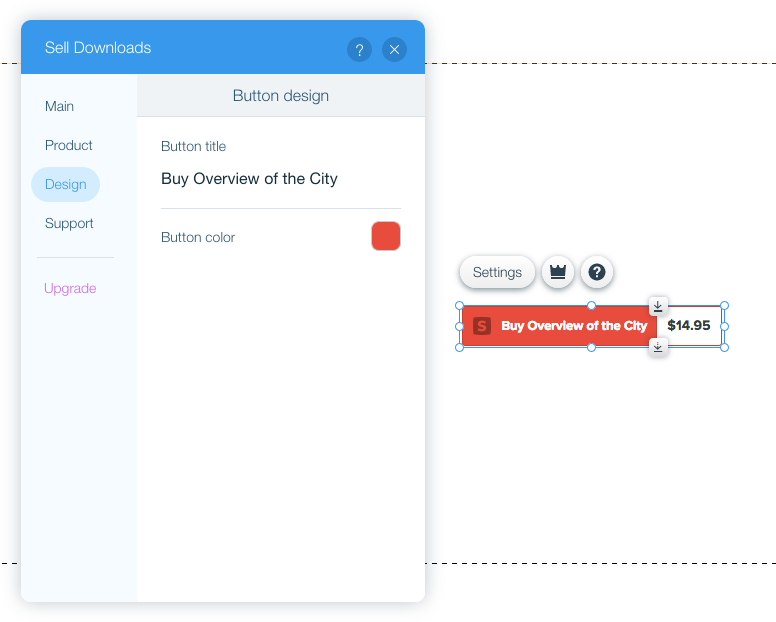 The Sell Downloads app is a very simple e-commerce solution for your Wix.com site, so it's only meant to display the Buy Now button and the Checkout. The product images or description aren't meant to show up on your Wix site, you'll need to add those directly to your site with the tools offered in your site editor. Why is my email auto-filled at the Checkout? Your email address appears in the checkout field only to you. This is because we automatically insert the email address of the buyer (in this case, yours) if they are logged into their Sellfy account when purchasing. Customers who don't have an account on Sellfy will see an empty entry field and they'll be able to enter their own email address there. How do I cancel my Sell Downloads app subscription? You can cancel the app payments at any time via wix.com only. Important note: Sellfy does not manage payments for this app, and there's no way to cancel it on our end. It's only possible to cancel through Wix.com. We won't be able to issue any refunds, either. Full information about Wix.com app cancelations is available here: Wix Help Center: How do I cancel an app upgrade from the Wix App Market? 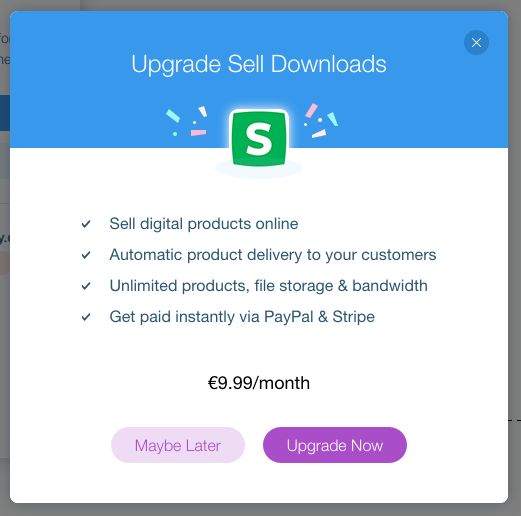 Important note: The upgrade will expire at the end of the period you've paid for. The payment for the current month may not be refunded.